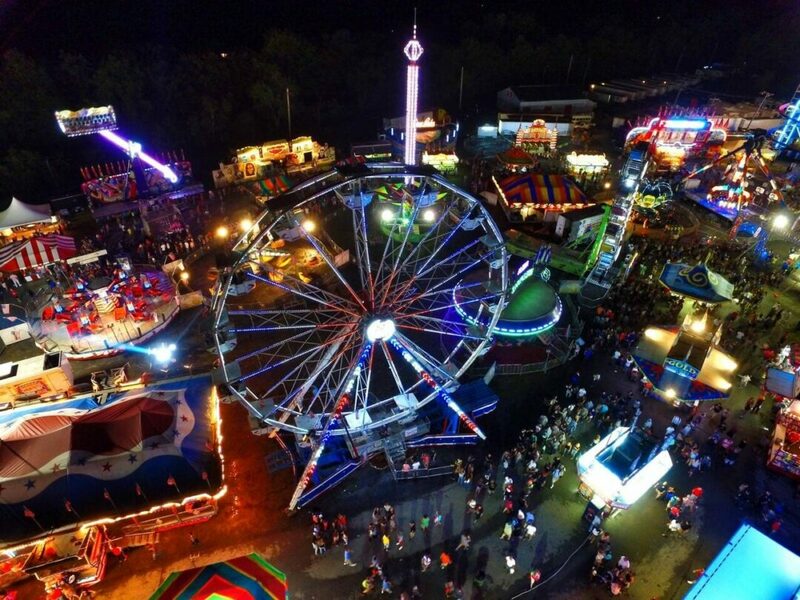 GUILDERLAND — The Altamont Fair is fast approaching, set to happen from Tuesday, Aug. 14 through 19, while celebrating its 125th anniversary once again. Canaday is a member of the Albany, Schenectady, Greene County Agricultural & Historical Societies, Inc., the official long title given to the organization in charge of coordinating and creating the fair annually. The Altamont Fair, its more common and simpler name, was originally birthed back in 1893, back when it was first called the Albany County Fair. For some background context, during an Aug. 6, 1982 Altamont public meeting, it was determined that a committee be created to develop an annual local fair. Prior to this, local fairs only happened in Albany and other nearby regions. For the inaugural fair in 1893 then, harness horse racing was the main highlight and the fairground has expanded to over 138 acres since then. Canaday said that the only times the fair was closed was during World War II, in 1942 and 1943 specifically. To look back on the fair’s history, Canaday said that the fair will contain museum walking tours, which include contain artifacts and collections revolving around past fairs. It would also provide a wealth of information to give visitors a sense that the fair is more than a local family-friendly gathering, rather it also has helped bring the communities closer and expanded greatly since 1893. In addition, Canaday wanted the fair to not only be entertaining, but also inform visitors of its agricultural roots, since the area used to be a dairy farming zone. This partially explains why the fair has many animal-themed encounters and farm-inspired attractions. The fair is slated to include a plethora of family-friendly rides, games, museum exhibits, animal encounters, children-exclusive entertainment, and interactions with local community figures. Regarding the latter, there will be a Hometown Heroes area where visitors can meet, for instance, members of local police and the fire department, which further adds to strengthen the local morale overall. Furthermore, to attract more locals, senior citizens (of at least 65 years), active military personnel, and veterans can get into the fair for free on Wednesday, Aug. 15 until 6 p.m. There will be many free games too, including an egg-and-spoon race, a wheelbarrow race, bean bag toss and a matchbox car race. Children can also experience a hands-on farming display, where they can collect eggs from under toy chickens. Knitting and spinning-wheel demonstrations, as well as pie-eating contests, are confirmed too. Canaday also noted that after being introduced a few years ago, a racing pig show has become very popular. Also this year, there will be a Lowriders automobile exhibit (famous lowered cars that can be raised above the ground), the Giraffic Park Petting Zoo (where visitors can pay to feed Twigs, the giraffe), a Tuesday-only Monster Trucks Freestyle Event, and the Kids Power Wheels Demolition Derby. Dreamland Amusements is in charge of operating and providing rides during the fair, with five new rides this year: Dream Wheel, Sugar Loop, Cliff Hanger, Storm and Loli Pop Swing. One has to wait until the actual fair to find out exactly what they are and experience them. In response to the unfortunate death of a male teenager at the Ohio State Fair while enjoying a thrill ride last August, Canaday insisted that Dreamland Amusements always has its rides inspected by ride operators and by the state, to ensure safety. “No one rides them before they are properly and officially approved by inspectors first,” she said. Canaday concluded that while nothing is set in stone for next year yet, she and her organization have started its planning. For a full comprehensive list of all the rides, attractions, events and happenings, visit the fair’s official website.